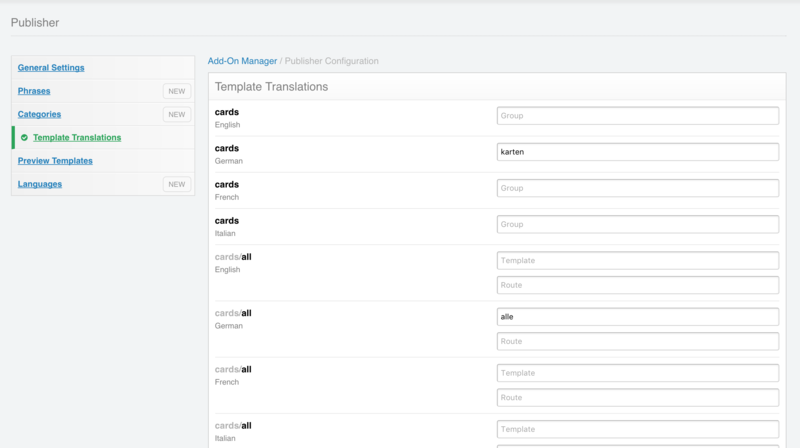 Multilingual content and publishing workflow in ExpressionEngine. 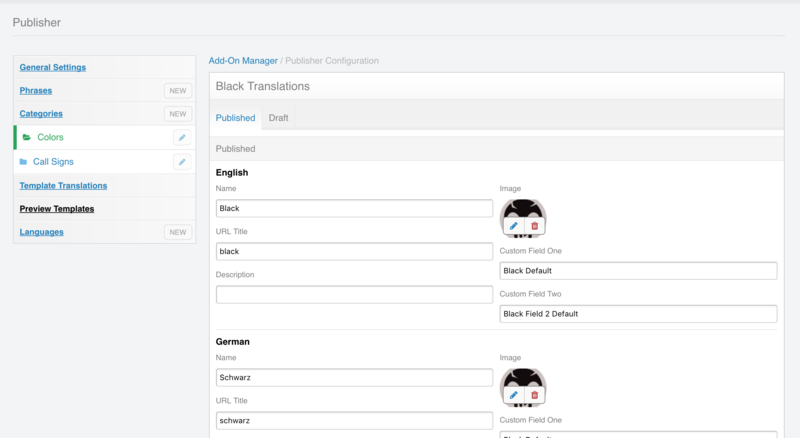 Publisher is the only multilingual and workflow module for ExpressionEngine. It lets you create drafts and translations of your entries, categories, and content phrases. No other module, or combination of modules, will compare to Publisher, and it is the closest ExpressionEngine will ever get to native draft and multilingual support. You will never manage your content the same way in ExpressionEngine again. Preview your drafts in the control pane. View the differences in your text between published and draft versions of your content. Basic content approval process. Users can be assigned as a publisher or editor. Editors can not save content as open/published and must be approved by a publisher. This add-on comes with an optional 1 year renewal fee of $100.00. Read more about renewals. Assign content responsibilities to member groups. Adds Publisher support to Low Search.